Steven Butala: Today Jill and I talk about choosing the right business partner. Jill DeWit: Not life partner. Steven Butala: Well, it’s gonna become that. Steven Butala: So we both have a lot to say. Steven Butala: It’s all good stuff. Before we get into the show though, let’s take a question posted by one of the members, one of our members on thelandacademy.com online community. It’s free. Steven Butala: Okay, here’s the deal. There are two types of ways … two ways to sell property on terms. Land contract which he’s calling the Arizona way. And a deed of trust which is how you usually purchase a house. You buy the property it gets put in your name and there’s a lien on it and the bank holds the lien until it’s paid off. Those are … local laws and rules dictate which way you do it. In Arizona, it’s legal to do it both ways, but there’s ramifications for both ways, like everywhere. In some places, it’s not legal to do it the land contract way or it’s not allowed. Is it enforced? No. Do you drive 75 in a 65 every single day? Yep. It’s the same thing. Steven Butala: Am I advocating breaking the law? No, I’m not advocating breaking the law. What I’m advocating … I’m just here to tell ya the truth. And I want you to check into it before you go gun slinging ’cause you’re in Texas. Jill DeWit: You bring up a valid point. You need to be aware of everything, slash, however, whatever agreement … it’s like if I wanted to sell my brother-in-law my car and I accept $100 a month for 3 years or whatever it is that’s between us. Steven Butala: Yeah, well, you’re probably breaking the law. Jill DeWit: I might be. Steven Butala: But is he gonna turn you in? Steven Butala: And everybody loves deals like that, my included, and when do they go sideways Jill? Jill DeWit: When somebody complains. Steven Butala: When the guy you sold the car to because you broke up with his sister, the guy you sold the car to is real pissed about that. And who does he do? He throws the book at you. So, the moral of the story here is, keep your customers happy. Do as you need to do cause … or they will turn you in. And I really what happened … there’s so much money to be made here. Just do it right. I will tell you to undo a deed of trust it costs thousands of dollars. I will also tell you this because we’re here to help you, because we have a ton of experience. 50-80% of the term sales that you initiate do not go to full term. Steven Butala: You end up taking the property back and reselling it. Steven Butala: And then 50-80% of the time you resell it … so you own this property for a very long time, if not forever. Jill DeWit: And it was probably paid off in the first … you know … if not right with the down payment, very quickly. Most of these properties, if you do it right, are already paid off. So that’s the beauty of this whole thing and that’s why a lot of people love it. Steven Butala: There’s a … there’s a guy named Kent Taylor. He has a website … he’s longer in the business than I am. His website’s 1881.com, like the year. And he only does term sales. And he owns 80% of the property that he’s ever owned. The guy owns tons and tons and tons of real estate. We’ve bought and sold properties through each other for years and years and years. So he’s an expert on that. Go check his … check out how he does it. And then … and he’s been in the business forever. That’s a good working example right on the internet that you can review in 15-30 minutes and kind of mimic yourself after that. His website looks like it’s from 1881. Jill DeWit: I want to cover too this question cause we haven’t talked about this in while. Stephen, will you please share your over saturation … or I’ll share … let me share mine first. The only … the times that I hear about this popping up is because there was … I have heard of certain groups that think they have secret counties and they have this list of small counties that’s a way to over saturate, sure. If we’re all working the same 10 counties and we’re all sending mailers to the only back taxed people in those same 10 counties. You’re gonna … you are gonna trip on each other. So that’s where that comes from. The way we do this and the way Stephen teaches it in the program. He’s teaching you how to ride a bike. Not telling you what kind of bike to buy, not telling you what store to go to, not telling you where you should ride your bike, how fast, any of that. These are the basics of how you ride a bike. You put your feet on, you pedal, you hold on here. That’s what we do. We have so many members killing it … I mean come on think about it. 3,144 counties in the country. How many properties are in there? A lot. How many different property types? A lot. We are so happy that our members they listen and they’re doing it. They’re going out and going, “You know what? I’m gonna try Idaho. It’s gorgeous. We never talk about it. Here I come.” You know and I have members all … like I said doing all over the country in lots of different areas we do that are just killing it. Counties I haven’t even heard of everyone, you know. So that’s the thing. So as far as over saturation … oh sure, if we all do Coconino County tomorrow with Flagstaff at 5 acres cause we all thought one person said that he found it. Yeah we are going to trip on each other a little bit. So go out there and find a new area. Jill DeWit: And that’s true. Steven Butala: And it’s a valid concern though. And everybody has it right when they start. But if you just … I’m filming Land Academy 2.0 right now. And here … and I start the whole thing out by looking at the country and looking at how many properties there are. There’s 150 million properties in this country. And do you think that’s over saturated? And heres the #1 thing. There’s two things that fuel a real estate sale undervalue, death and taxes. So you get a tax bill every year. Some places you get it twice a year. Some places you get it four times a year, every quarter. When you get that bill and it’s paid … there’s no mortgage and you’re staring at it. And then in one hand you’re staring at that tax bill and in the other hand you’re staring at an offer to purchase that we sent. You could have gotten 15 letters that month. The one that’s closest to that tax time is the one you’re gonna really take seriously or the one that’s got the highest offer in it. Over saturation is a myth. Peoples life circumstances change all the time. Steven Butala: How do you answer that? Jill DeWit: I just said “you know, here’s what we look at. We take all this information. It’s not as” … and I tried to make him feel good. “We use all the information we can get our hands on. Having said that, the assessors and the things like that don’t always enter everything in right. So there’s stuff we may not know.” And anyway, it totally calmed him down. In the end of the call he’s like “you know what?”, he actually shared personal stuff with me. He’s battling cancer. Steven Butala: That’s terrible, Jill. Jill DeWit: I know. But that’s … I know I hate it, it’s sad … I know that’s probably not the best example, but it’s real. And we record these calls, I have it. And he was a really nice guy. Steven Butala: We can fund your … we’d be happy to fund your world-wide excursion. Jill DeWit: When you’re done battling this and you’re free and clear and you can travel now. Ditch the house and go have some fun. Steven Butala: Good, well said. Jill DeWit: Thank you. That is how I ended it and the guy … it was awesome. Steven Butala: You have a fantastic talent for silver linings. Steven Butala: Over saturation’s a myth. Jill DeWit: Yeah, but don’t worry about it. Thank you. I’m done. Jill DeWit: I thought we were on the topic. How funny is this. Steven Butala: Oh my gosh we’re not on the topic. Steven Butala: Today’s topic: choosing the right business partner. This is the meat of the show. This is so important. Jill DeWit: Hope I wasn’t really dark and down. I didn’t mean to … okay, but it’s a real story. Steven Butala: I mean it’s a real example of why people choose to sell. And why they choose to sell for cash quickly versus cleaning out the garage and listening to a real estate agent tell lies. Steven Butala: Why to choose … how to choose the right business partner. So here’s the thing somebody told me a long time ago you have to be friends with a business partner or it’s not going to work. And I believe that’s half true. I don’t believe it’s entirely true, but you do have to have some version of … you have to see things the same way. 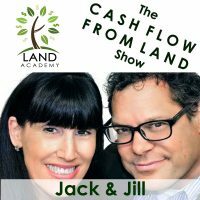 Like we do a lot of transactions, high dollar transactions, that Jill and I are not interested in, Jill and I are not interested in funding like an $800,000 purchase price for a house and planting 800 grand, 700 grand into a house for 30 days. We’re just not … that money is better spent on smaller deals turning them faster. So we take on a lender partner, a private lending partner. Here’s my rule, and I’m not saying you should do this. I’m just telling you … here’s some of the bullet points that make it work for me. There’s no contracts. There’s no agreements. There’s no talking. There’s no talking on the phone, “Hey how’s it going? Did do this that to the house? Did you do that?” No. No. No. We do not put any … if there’s a partnership we don’t put 20% in … like a lender. No. That’s how it works for us and so I intentionally seek people out that are like that. We could raise tons, and tons of money by doing a real estate fund. What … then I gotta get in a federal database and we gotta do stuff with the federal trade commission. I don’t … that’s just not … we make enough money. That’s just my personal … so I choose partners that think of it that way. Our vendors by and large are the same way. We don’t have contracts. We have a hand shake and a gentleman’s agreement. And if one person is not happy they get the heck out of dodge. I just think that, that’s the way Jill and I like to operate in general. So you know the right business partner just, like the right life partner, they can sink the ship, I mean the wrong one ‘scuse me. Completely sink the ship. Jill, I know you have a lot to say about this, go ahead. Jill DeWit: Yeah. So while you’re talking I wrote down some notes. So here are my things on the having, choosing the right business partner. Number 1 like you just touched on you have to have the same vision. If you guys aren’t driving in the same direction it’s not gonna work. And the same end goal. So you guys should have that all iced out. Steven Butala: Yeah, trust right, sure! Jill DeWit: You don’t have blind faith trust that, cause you guys are sharing a joint checking account you know for your business stuff. You don’t have trust there it’s not gonna work. Steven Butala: You know I think … to expand that further. When you choose a business partner it’s really not a good idea to choose one that has the exact same talent you do. Steven Butala: Jill is really good at operations and I’m not. But I’m really good at acquisitions and data. Steven Butala: And so we compliment each other. Steven Butala: We don’t duplicate each other. Jill DeWit: And even the little things like you don’t like talking on the phone and I love talking on the phone. Jill DeWit: You know little things like that. So and its funny some of our big, high level meetings. I’ll go in there I’ll get us the meeting, it’s kind of fun for me. Stephen will say “I need to have a meeting with that guy. You gotta go get us a meeting, we need to talk to that guy.” Well I’ll get us in there and then you close. You get in there and you do the talking. Steven Butala: Yeah and then when we get in there I can. Getting the meeting is 80% of the difficulty. Once you have the meeting our closing percentage is pretty good. Jill DeWit: Yeah, I’ll get us in there. And then my final thing that I wrote down real quick about choosing the right business partner is 100 percent support in front of the world. If you guys have a disagreement you talk about it later behind closed doors, but in front of everybody else you have to always appear to be a united front. Jill DeWit: Unified front. There’s gonna be times that your business partners gonna stand up and make some lofty projection and your hearts gonna sink going there’s no way in hell we can afford that, buy that, do that. We don’t have the staff for that. Whatever it is but you need to stand there with a smile and say “Yep we’re gonna do it. By the end of 2018 we will have X” and then once its done, you’re in the car, you’re in your office. That’s the time you go “what were you thinking? And how do ever think we can pull this off?” Whatever it is, but that to me … those for me are the top things for choosing the right business partner. Steven Butala: If you have children you already know that. The kids will eat you alive if you think that you’re going against each other. You gotta stand there shoulder to shoulder and say, and back each other up even if its awful. Steven Butala: Right, but if they think you’re going against each other on stuff. They can smell that. Jill DeWit: Oh they can. They smell the fear. Steven Butala: And then they can. They’ll go around you. What is it with kids? Jill DeWit: They’re smart about that stuff. Steven Butala: Yeah. When they’re real young even. Jill DeWit: Oh yeah. That’s true. I wonder what the average age is when the kids first realize don’t ask dad, ask mom or vise versa. Steven Butala: There’s always one that’s a little easier. We don’t do that “Dad told me to come and tell you.” No, it all stops right here. Jill DeWit: So, we’re not playing those games. It’s funny. Steven Butala: Like, “why bug your … why would you bother your mother with this? You actually know how to run the washing machine.” That kind of stuff. Jill DeWit: That’s awesome. I think we covered it. Jill DeWit: Do have anything else you wanna add? Steven Butala: No. You’ve done it again. You spent almost 20 minutes listening to the Land Academy Show. 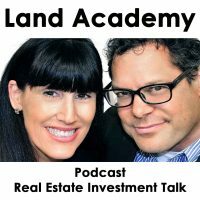 Join us tomorrow for another interesting episode where we discuss planning for the inevitable real estate recession. Jill DeWit: And we answer your question, should you have one, posted on our free online community found off of landacademy.com or you can go straight there to landinvestors.com. Steven Butala: You are not alone in your real estate ambition. You know it’s “so you’ve done a thousand deals, now what?” week here and so this next topic tomorrow, planning for the real estate recession it’s inevitable. There is going to be a down turn. So we’ll talk about some of the signs that I look for. You can almost set your clock by it when you start to look for the things that … you know you just need to know how to do it and plan for it. You don’t want to be stuck with a ton of property and no money. That’s the gist of it. Jill DeWit: Isn’t it the greatest thing. I mean how … I mean I can’t wait to talk about this. Jill DeWit: Share the fun by subscribing on iTunes or wherever you’re listening and while you’re at it please rate us there.